un Mac book Pro 13.3″ 2.4 GHz 4Go 250Go Mac OSx 10.6 au pied de mon sapin. J’avais l’habitude de développer sous un PC Linux avec twinview (2 écrans) et sur des netbooks (Asus EEEPC 10″ (Windows XP) et Asus N10 (Windows Vista)) et j’avais besoin de soulager ma vue quelque peu. J’avais donc l’intention d’acheter un notebook 13″. J’avais toujours été un peu réticent à acheter un matériel Apple puisqu’il est toujours un peu plus cher que son “équivalent hardware” en PC. Cette fois-ci, j’ai changé d’avis et choisi un MacBook Pro 13.3″ qui a coûté environ 1.100 €. Installer des logiciels sur Mac est très aisé (usage simple de fichiers .dmg) et Aptana (éditeur PHP basé sur Eclipse-Java) est très avide de ressources sous Windows et Linux OpenSuse mais semble beaucoup plus léger sur le MacBook. 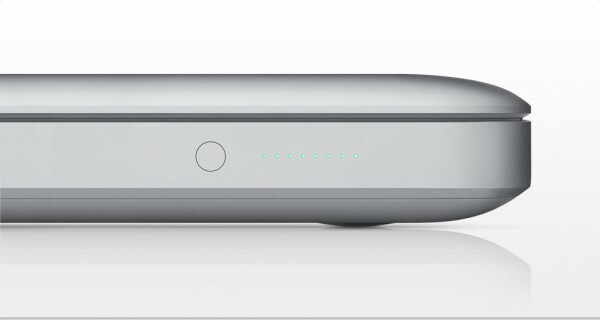 La configuration du MacBook à mes besoins m’a pris une demi journée à peine alors que mon dernier netbook Windows m’avait pris une semaine (pour que l’OS effectue précisément ce que je voulais qu’il fasse). Dealing with PHP and MySql will some day lead the web developer to scripting on another OS than Microsoft Windows. In order to run a dynamic PHP-MySql website on a local Microsoft Windows machine, the developer needs to install a WAMP software (i.e. Windows, Apache, MySql, Php) like WampServer (my favourite) or EasyPhp (the development of which stayed inactive for a while, some years ago, but which has now been updated). Those webdevelopment platforms all come from LAMP solutions, an acronym for Linux, Apache, MySql, Php. LAMP is free software and is part of many Linux OS distributions. If the above requirements can be fulfilled, the developer is ready to change OS and choose the Linux distribution that suits him best. A large number of free solutions are available on the internet. 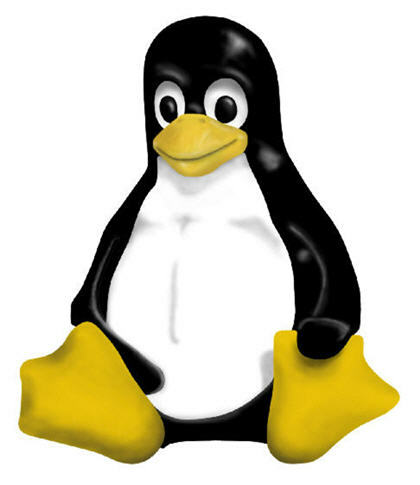 If he is hesitating about the right distribution to choose, he may take the Linux distribution Chooser test (multi-lingual). Once the distro is chosen, let’s see how it can be installed. Having tried some Live CDs and DVDs beforehand, the developer will have a good idea of the Desktop environment (KDE or Gnome). My experience led me to choose the linux Server Distro OpenSuse.org. Once downloaded as an ISO file, OpenSuse DVD should be checked before install. This is easily done by checking the md5sum of the downloaded file. You can run Fastsum to achieve this. The result Fastsum gives you after analysis must be strictly equivalent to the md5sum provided by OpenSuse.org. Where and how to install? For my first Linux install as a newbie, I bought a new sata hard disk (HD). I did not want to run any risk with my Windows HD. I disconnected my Windows HD and connected the brand new HD. I started the computer and changed configuration of the boot sequence in BIOS for my computer to start checking the DVD drive instead of the HD. So at reboot, Opensuse DVD inserted, my computer boots on the DVD drive and setup loads. Opensuse is provided with a graphic install interface that allows you to install it by clicking (no command line knowledge necessary at this stage). Just follow the steps and configure your OS. 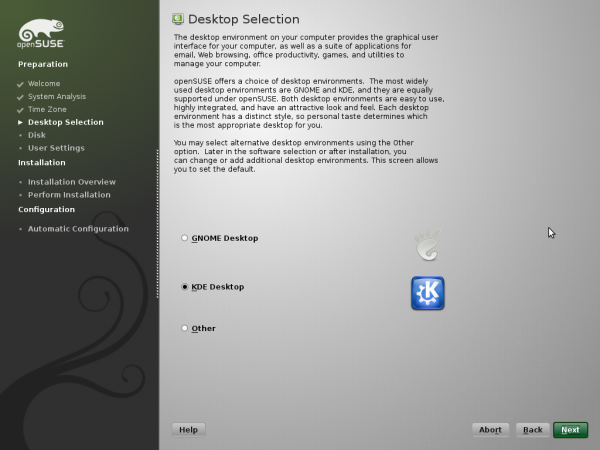 I chose KDE Desktop as environment because it provides me with softwares I need as a developer. It is of course possible to start Windows from Linux. Remember I chose to install Linux and Windows on 2 physical separate HD. My OpenSuse is my primary HD. I then connected my secondary Windows HD. Under Linux, you’ll have to change GRUB to be able to start Windows from Linux prompt. Indeed, Windows won’t start if it is not primary HD. This will re-map your HD and make the system believe HD0 is the Windows HD. Whatever your hardware configuration, it should run (somehow) under Linux. Linux is only delivered with Open Source drivers, so you may have surprises at first boot with your graphics card, for example. Refer to the Internet for support in this matter. Nvidia has developed specific drivers for Linux.